Orkney, Scotland. Day 25 , 23rd July. 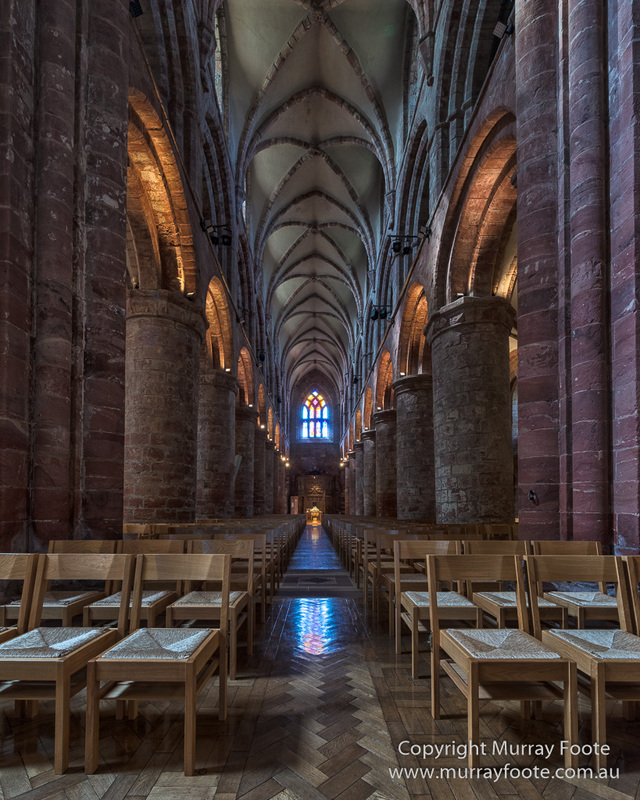 St Magnus’ Cathedral is a very remarkable building with a very remarkable history. How much is legend and how much is fact is not known but the story goes like this: In 1098 there were two twin brothers who were Earls of Orkney, Erlend and Paul Torfinnson, who had sons Magnus and Haakon respectively. The Norwegian King Magnus Barelegs turned up, deposed the two Earls, shipped them back to Norway and installed his illegitimate son Sigurd Magnusson instead. King Magnus then took the Earls’ sons raiding. When they got to the Island of Anglesey, Magnus Erlendsson refused to join in because he thought it was an unjustified exercise in barbarism and instead stayed on deck and prayed. 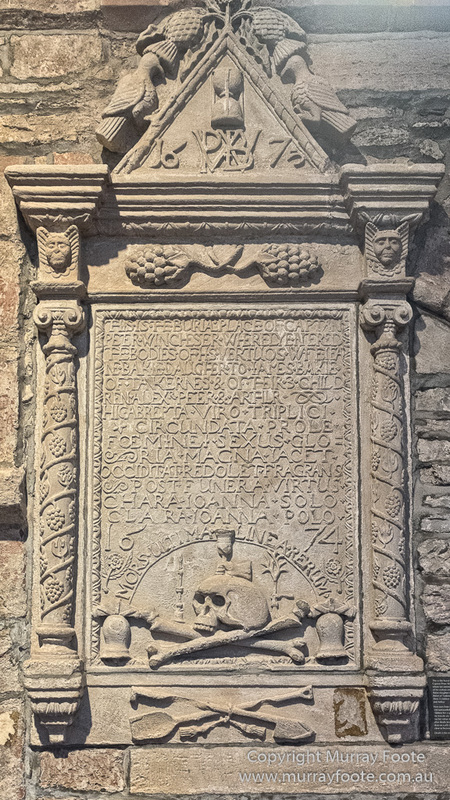 Unsurprisingly this did not endear him to King Magnus and Magnus had to flee, spending several years in the Court of the King of Scotland. Haakon Paulsson became Earl 1n 1104, having previously been Regent for Sigurd Magnusson. 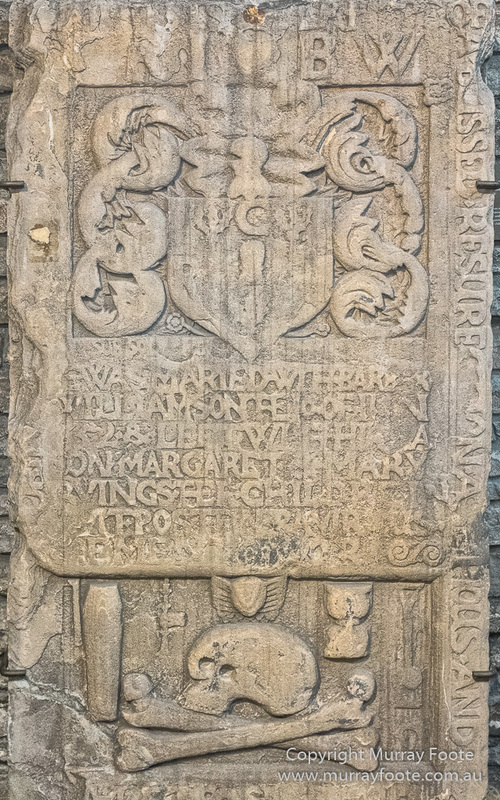 In 1106, with the support of new King Eystein I, Magnus Paulsson became joint Earl. After nine years, there was building tension between the two Earls and their followers, which came to head at an Althing (local Parliament). The two Earls agreed to reconcile and meet on an Island, to which each was to turn up with two ships. Magnus turned up with his two but then Haakon turned up with eight, obviously intending trouble. Magnus refused to flee and accepted execution. 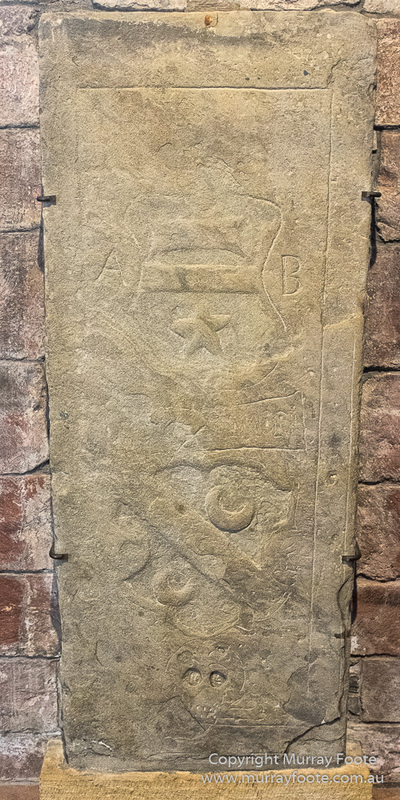 He was initially buried where he fell and later reburied in Birsay. There said to be many miracles around his grave and in 1135 he was canonised. 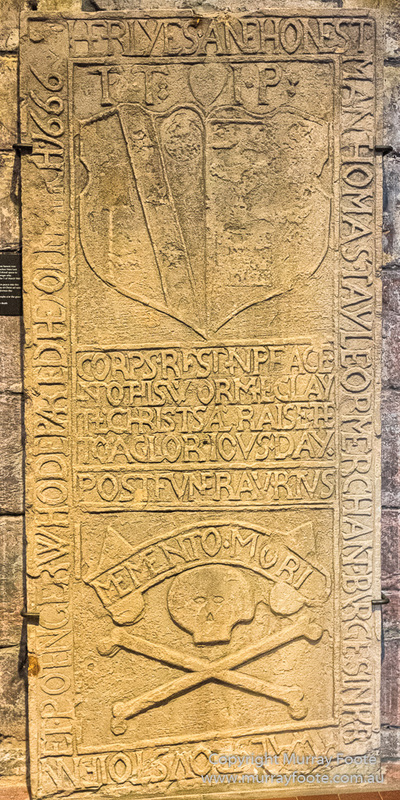 Rögnvald Kali Kolsson, nephew of Magnus Erlendsson, was declared Earl of Orkney in 1129 by King Sigurd I of Norway. This was also confirmed by the next King, Harald Gille but neither offered military support against Earl Haakon Paulsson so Rognvald did little for some years. To help generate support, he declared that he would build a church dedicated to Magnus. 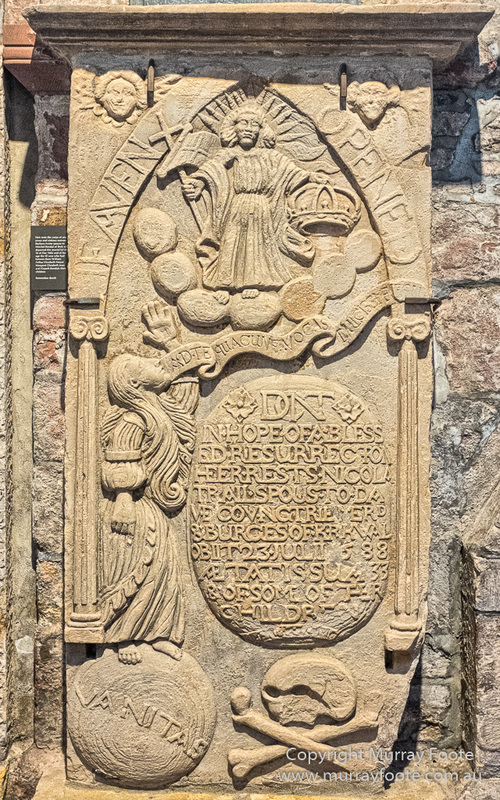 It is likely that the canonisation of Magnus was in support of his candidacy. He landed successfully in 1136 and became co-Earl by agreement with Haakon. Then he had Haakon kidnapped and nothing was heard of him again. Construction of the Cathedral commenced in 1137, under the direction of Rögnvald’s father Kol. 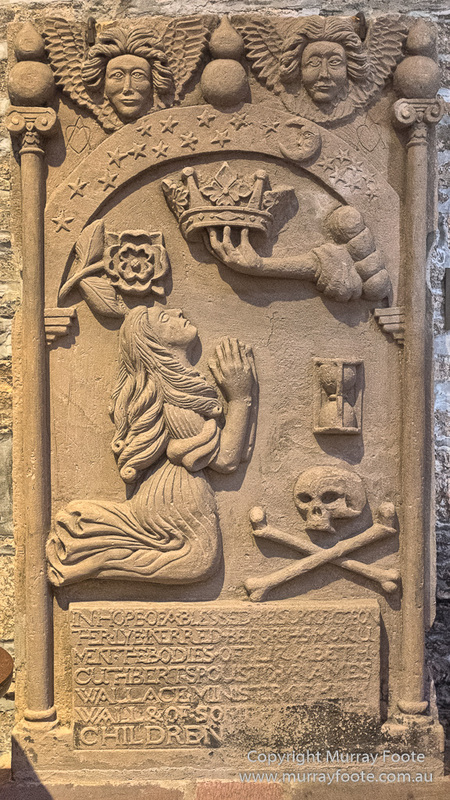 The remains of St Magnus were transferred first to a church in Kirkwall and later to the Cathedral. 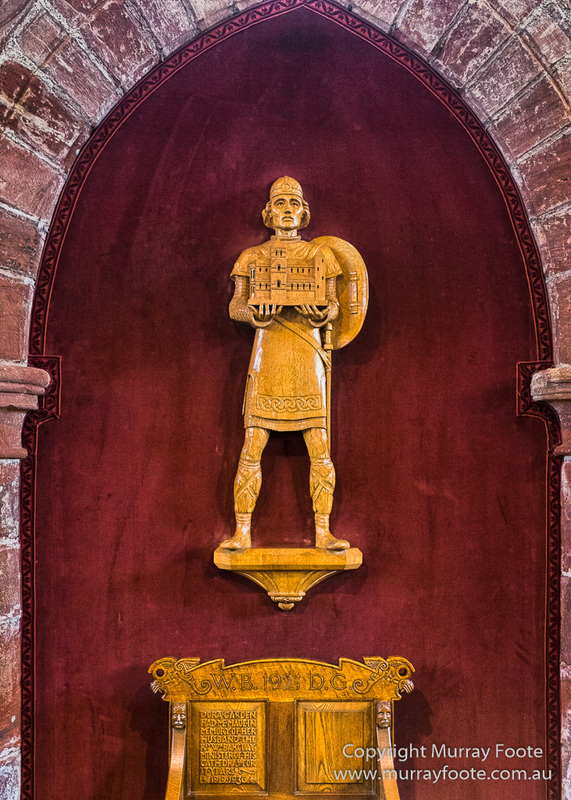 Rögnvald was killed by a rebellious Scottish Chieftain in 1158 and he also was canonised in 1192. It took around three hundred years to complete the Cathedral and it is in such good shape due to a major reconstruction programme in the early 20th century. 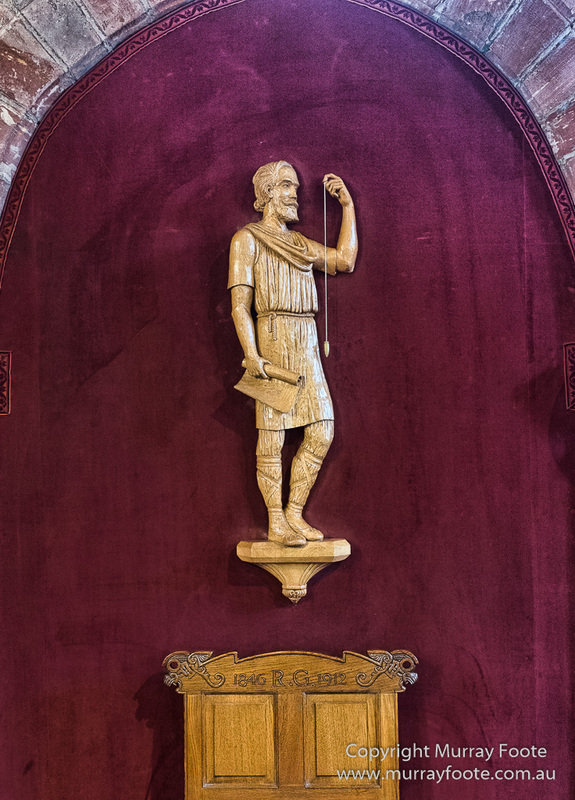 The carved figure of the founder Earl Rögnvald, holding a model of the original cathedral. Kol, the father of Earl Rögnvald, who was a driving force behind the construction of the cathedral. 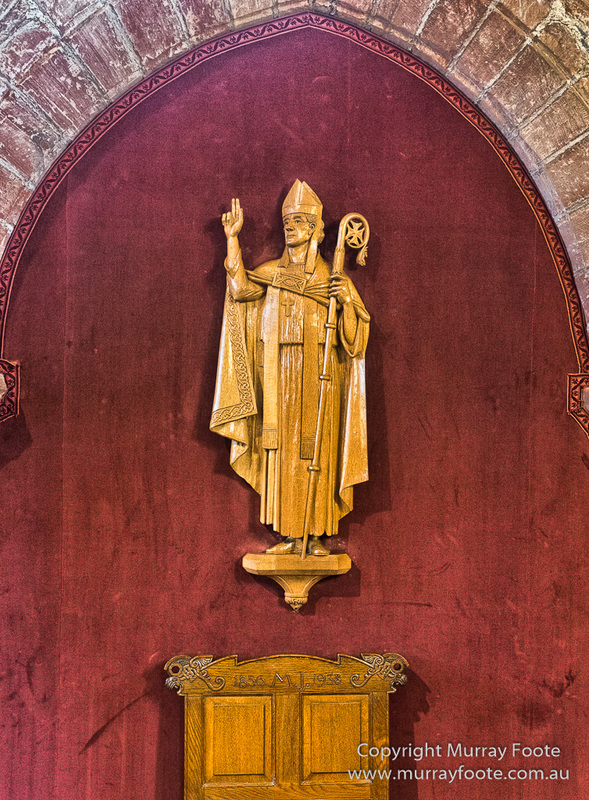 William the Old, first Bishop of the Cathedral. 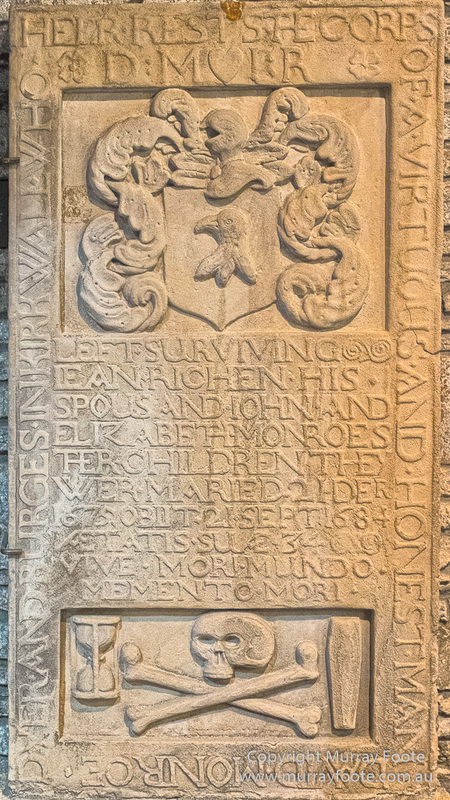 Inside the walls of the cathedral, through the arches, is a remarkable series of memorial plaques. I hope the formatting works for you. They were originally on the floor of the Cathedral, which may account for why some are quite worn. The spacing of the text and the images below is relative. All I can do is to get it to work on my PC. I hope it makes sense on your screen. If you’re an email subscriber and the formatting is tangled, try it in your browser. If there were words on this one, they have eroded away. All I can see is two coats of arms, one with the letters A and B on each side, a skull and bones and the word mort or death. Since it is so worn, it may be older than the others. Hic tesitup = here lies??? 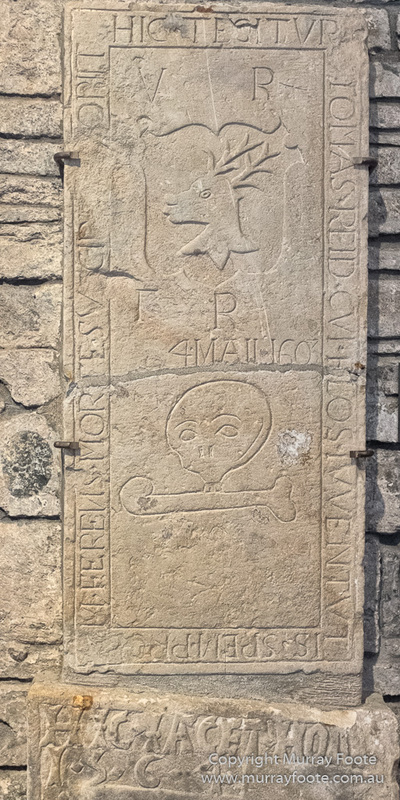 Below is part of an earlier plaque, including hic iacet (here lies) and a year – 1564. And of some of her children. From this (corporeal body) by this (death) to this (heaven). 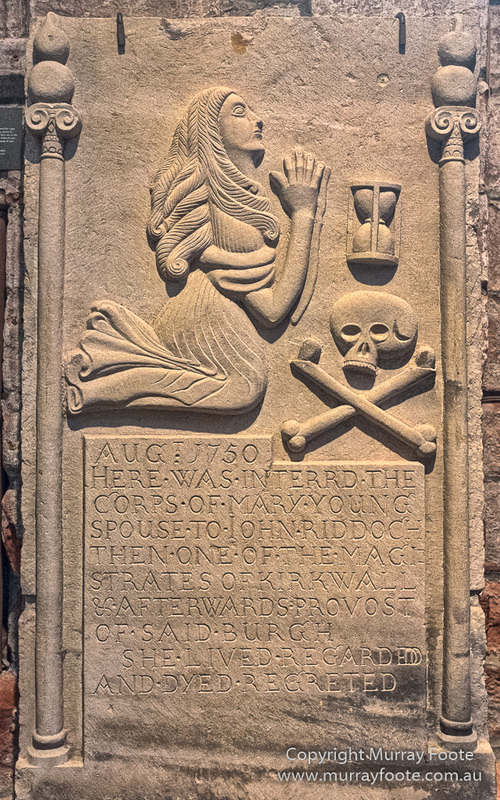 And afterwards Provost of said Burgh. She lived regarded and died regretted. (James Wallace was minister of the Cathedral). 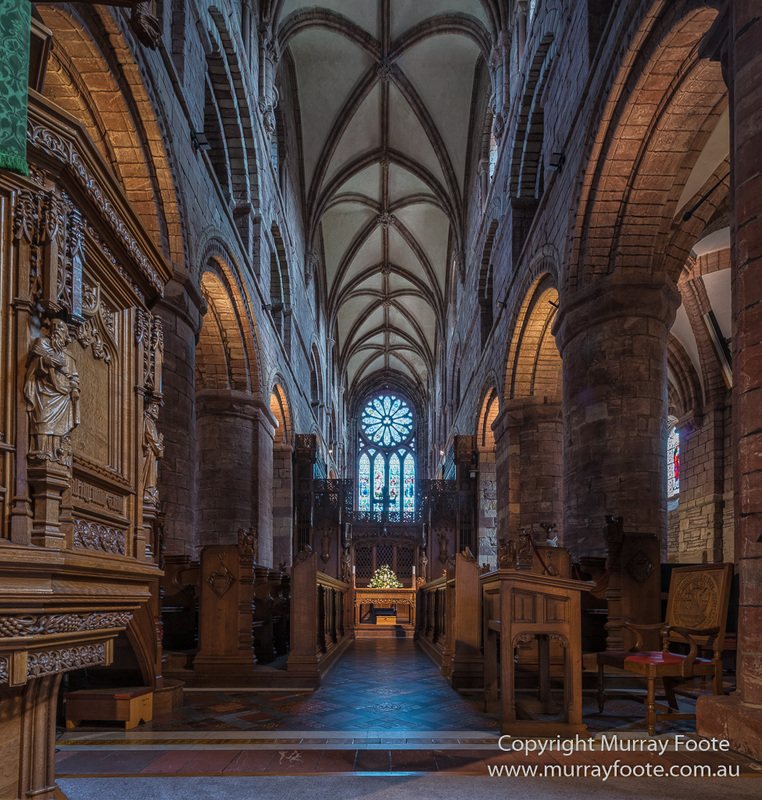 This entry was posted in Orkney, Scotland and tagged Archaeology, Architecture, History, Kirkwall, Landscape, Orkney, Photography, Scotland, St Magnus' Cathedral, Travel. Good post – just reading a book by Philip Parker ‘The Northmen’s Fury’ and it mentions the Orkneyinga saga which I have a copy of: The saga has “no parallel in the social and literary record of Scotland” (Wiki) it mentions the early history that you have included in this post. I have never been that far into deepest darkest Scotland 🙂 (on my list of things to do when I retire) Was pleased seeing you photographs. Thanks very much David. I also have a copy of the Orkneyinga Saga which I found very impressive. “The Northmen’s Fury” sounds great. Unfortunately I have a big pile of unread books that I’m making little impression on. Northern Scotland and the Isles are great. There’s so much ancient history you can just reach out and touch. It would be great to go back again and have more time to spare. I was in general very lucky with the weather this time though. Ha, unread books – tell me about it; I am always playing catch-up these days. I recently read King Hereafter, which follows the rise and fall of Erlend and Paul’s father, who the author makes an interesting (if not entirely sturdy) case for being Macbeth. It’s a good read, and in many ways a love letter to Scotland’s landscape. It sounds a bit of a stretch but I’m no expert. I did read a biography of MacBeth which sounded quite convincing within a Pictish historical context. Unfortunately I can no longer find it. Maybe I lent it to someone…. Great bit of history. Question….do you ever allow artists permission to draw your bird photos? In particular the red crowned crane? I would love to draw them as I am fascinated with cranes, especially the crowned. Thanks for your reply…. Yes, sure. I’ve sent you an email.